DESCRIPTION: Jenny's hill appears to be the center of the Cul-de-sac at the end of Netherwood Road. It's an approximate 10 step walk. 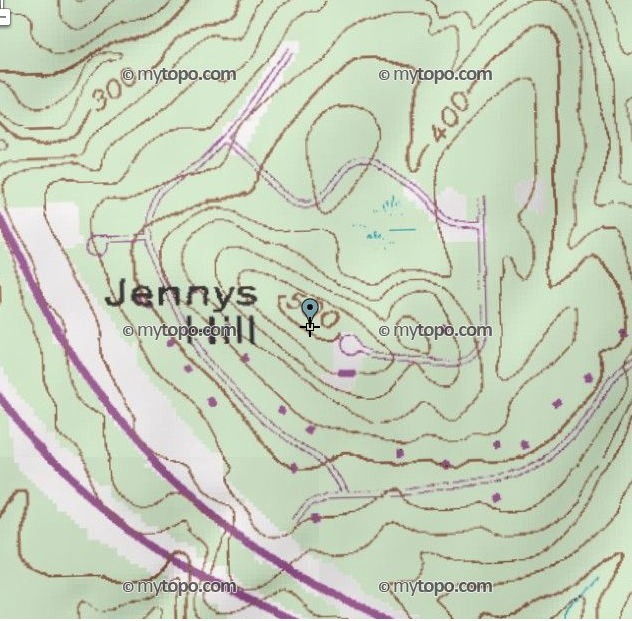 The topo map above shows the highpoint to the northwest of the cul-de-sac. There is a house at that location whose driveway descends from the cul-de-sac. By removing land during construction of the homes at the actual plotted summit the highest point has been relocated making the highest point the center of the Cul-de-sac.